In 1945, he was appointed Music Director of the New York City Symphony Orchestra, a post he held until 1947. After Serge Koussevitzky died in 1951, Bernstein headed the orchestral and conducting departments at Tanglewood, teaching there for many years. In 1951, he married the Chilean actress and pianist, Felicia Montealegre. He was also visiting music professor, and head of the Creative Arts Festivals at Brandeis University in the early 1950s. Bernstein was a leading advocate of American composers, particularly Aaron Copland. The two remained close friends for life. As a young pianist, Bernstein performed Copland's "Piano Variations" so often he considered the composition his trademark. Bernstein programmed and recorded nearly all of the Copland orchestral works—many of them twice. He devoted several televised "Young People's Concerts" to Copland, and gave the premiere of Copland's "Connotations," commissioned for the opening of Philharmonic Hall (now David Geffen Hall) at Lincoln Center in 1962. Inspired by his Jewish heritage, Bernstein completed his first large-scale work: Symphony No. 1: "Jeremiah" (1943). 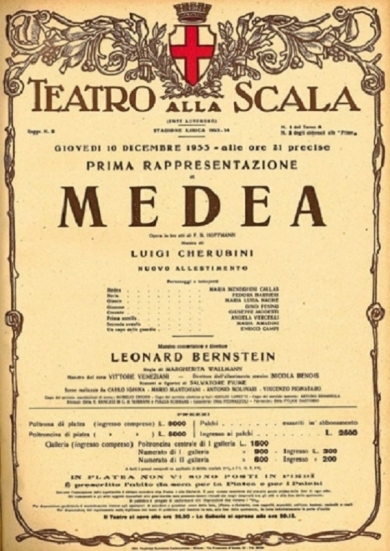 The piece was first performed with the Pittsburgh Symphony Orchestra in 1944, conducted by the composer, and received the New York Music Critics' Award. Koussevitzky premiered Bernstein's Symphony No. 2: "The Age of Anxiety" (1949) with the Boston Symphony Orchestra, Bernstein as piano soloist. His Symphony No.3: "Kaddish" (1963), premiered by the Israel Philharmonic Orchestra, is dedicated "To the Beloved Memory of John F. Kennedy." 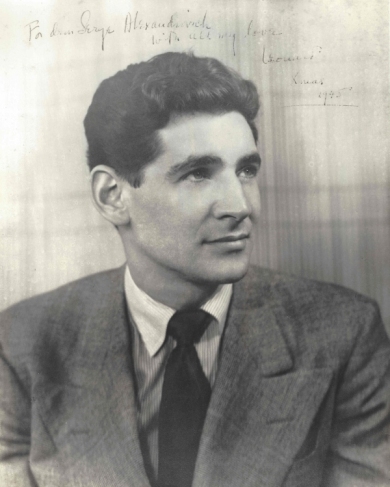 Other major compositions by Bernstein include Prelude, Fugue and Riffs for solo clarinet and jazz ensemble (1949); Serenade for violin, strings and percussion, (1954); Symphonic Dances from "West Side Story," (1960); Chichester Psalms for chorus, boy soprano and orchestra (1965); MASS: A Theater Piece for Singers, Players and Dancers (1971), commissioned for the opening of the John F. Kennedy Center for the Performing Arts in Washington, DC, and first produced there in 1971; Songfest a song cycle for six singers and orchestra (1977); Divertimento for orchestra (1980); Halil for solo flute and small orchestra (1981); Touches for solo piano (1981); Missa Brevis for singers and percussion (1988); Thirteen Anniversaries for solo piano (1988); Concerto for Orchestra ("Jubilee Games") (1989); and Arias and Barcarolles for two singers and piano duet (1988). Bernstein also wrote a one-act opera, Trouble in Tahiti (1952), and its sequel, the three-act opera, A Quiet Place (1983). He collaborated with choreographer Jerome Robbins on three major ballets: Fancy Free (1944) and Facsimile (1946) for the American Ballet theater; and Dybbuk (1975) for the New York City Ballet. He composed the score for the award-winning movie On the Waterfront (1954) and incidental music for two Broadway plays: Peter Pan (1950) and The Lark (1955). 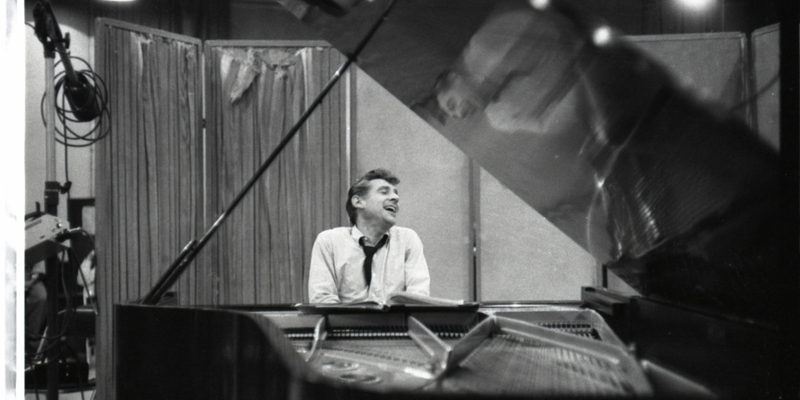 Bernstein contributed substantially to the Broadway musical stage. He collaborated with Betty Comden and Adolph Green on On The Town (1944) and Wonderful Town (1953). In collaboration with Richard Wilbur and Lillian Hellman and others he wrote Candide (1956). Other versions of Candide were written in association with Hugh Wheeler, Stephen Sondheim, et al. In 1957 he again collaborated with Jerome Robbins, Stephen Sondheim, and Arthur Laurents, on the landmark musical West Side Story, also made into the Academy Award-winning film. In 1976 Bernstein and Alan Jay Lerner wrote 1600 Pennsylvania Avenue. Festivals of Bernstein's music have been produced throughout the world. In 1978, the Israel Philharmonic sponsored a festival commemorating his years of dedication to Israel. The Israel Philharmonic also bestowed on him the lifetime title of Laureate Conductor in 1988. In 1986, the London Symphony Orchestra and the Barbican Centre produced a Bernstein Festival. The London Symphony Orchestra in 1987 named him Honorary President. In 1989, the city of Bonn presented a Beethoven/Bernstein Festival. In 1985, the National Academy of Recording Arts and Sciences honored Mr. Bernstein with the Lifetime Achievement Grammy Award. He won eleven Emmy Awards in his career. His televised concert and lecture series started with the Omnibus program in 1954, followed by the extraordinary Young People's Concerts with the New York Philharmonic, in 1958 that extended over fourteen seasons. Among his many appearances on the PBS series Great Performances was the eleven-part acclaimed "Bernstein's Beethoven." In 1989, Bernstein and others commemorated the 1939 invasion of Poland in a worldwide telecast from Warsaw. Bernstein's writings were published in The Joy of Music (1959), Leonard Bernstein's Young People's Concerts (1961), The Infinite Variety of Music (1966), and Findings (1982). Each has been widely translated. He gave six lectures at Harvard University in 1972-1973 as the Charles Eliot Norton Professor of Poetry. These lectures were subsequently published and televised as The Unanswered Question. Bernstein always rejoiced in opportunities to teach young musicians. His master classes at Tanglewood were famous. He was instrumental in founding the Los Angeles Philharmonic Institute in 1982. He helped create a world class training orchestra at the Schleswig Holstein Music Festival. He founded the Pacific Music Festival in Sapporo, Japan. Modeled after Tanglewood, this international festival was the first of its kind in Asia and continues to this day. Bernstein received many honors. He was elected in 1981 to the American Academy of Arts and Letters, which gave him a Gold Medal. The National Fellowship Award in 1985 applauded his life-long support of humanitarian causes. He received the MacDowell Colony's Gold Medal; medals from the Beethoven Society and the Mahler Gesellschaft; the Handel Medallion, New York City's highest honor for the arts; a Tony award (1969) for Distinguished Achievement in the Theater; and dozens of honorary degrees and awards from colleges and universities. He was presented ceremonial keys to the cities of Oslo, Vienna, Beersheeva and the village of Bernstein, Austria, among others. National honors came from Italy, Israel, Mexico, Denmark, Germany (the Great Merit Cross), and France (Chevalier, Officer and Commandeur of the Legion d'Honneur). He received the Kennedy Center Honors in 1980. Bernstein was the father of three children -- Jamie, Alexander, and Nina -- and the grandfather of four: Francisca, Evan, Anya, and Anna. The Guardian Leonard Bernstein: Composer, Conductor, Inspiration, Genius Interviews by Imogen Tilden, Fiona Maddocks The Wall Street Journal | Terry Teachout The Maestro at the Piano Grammophon We knew Leonard Bernstein Special interviews with those who collaborated with Leonard Bernstein The Weekly Standard | Joseph Horowitz A Wunderkind at 100 City Beat | Anne Arenstein Why Leonard Bernstein Still Matters BBC Why was this man hailed as a genius?